Most know of the tournaments of knights hosted by Arthur, but only a few know of Merlin's "Beast Hunt" tournament! 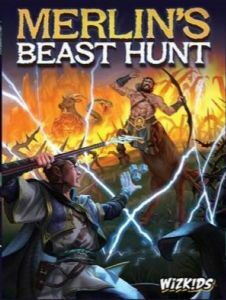 In the tournament held on a remote isle, mages use magical seeds and their own sorcery to create fences of natural elements to enclose and capture various beasts. As one of the competing mages, you use your share of eighty custom dice as seeds to hold semi-transparent cards that represent fences of bamboo, lightning, thorns, and water. Use these fences to capture magical beasts: chimeras, unicorns, basilisks, and centaurs. 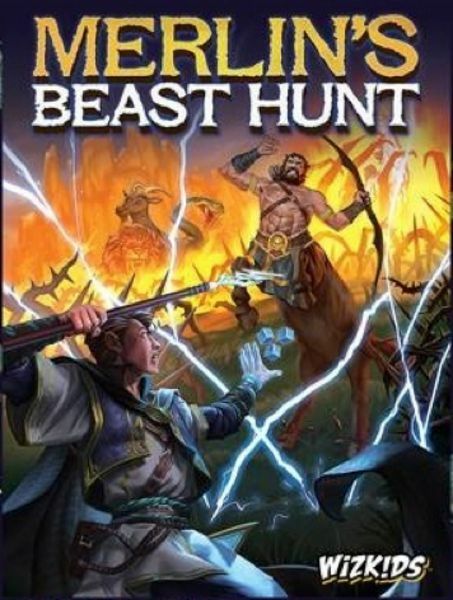 The magician who has the most points for capturing beasts and building fences wins the tournament and becomes the Champion of Magic thanks to Merlin's Beast Hunt!